Crowd sourcing can be extremely powerful and it is a logical means of success for a decentralised community like Bitshares. 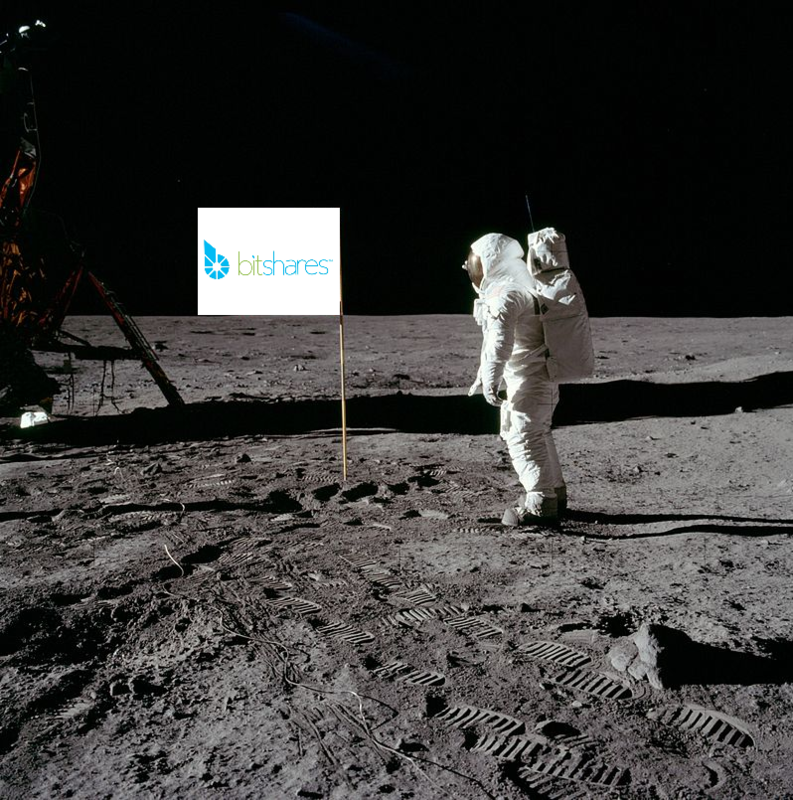 A worker proposal has been submitted to create the Bitshares X Moonshot Reward Fund which will pay out to community members/teams who successfully meet ‘moonshot’ milestones. Moonshot milestones are activities which push forward a step change in adoption/awareness of BTS. A committee will be established for agreeing the definition of each moonshot activity through consultation with the community. Approval of payouts from the reward fund will be through a multi-sig wallet following committee agreement milestones have been met. Bitshares has a significant war chest but it can, at times, feel like this is underutilised. We are decentralised and decisions require consensus. Often it is easier to reach agreement on what is needed than on how this is done or who it is done by. What matters for Bitshares is the end result and therefore it makes sense to introduce a fund which is able to reward successful achievement of milestones. Encourage individuals and groups in the community to work towards 'Moonshot' milestones and reward those who achieve them. Utilise a small portion of the sizeable Bitshares war chest to target activities which will move us into the top 10 crypto-currencies. 1,000 BTS to Moonshot Committee Members for time consulting with the community, defining moonshots and evaluating submissions. Note that these are defined in BTS terms and in the expectation the BTS price will rise in the future, thus making more funds available for larger targets. The Reward Fund will be held in a multisig wallet and only released when the Moonshot Committee members are satisfied the targets, as defined, have been met. The main voting Delegates have all been contacted to request their suggestions on Moonshot Committee members so the Community can be certain funds are being utilised only as they should be. Mobile App on Android and iOS. Listing on top tier exchange with a defined volume. Broadcast interview talking about Bitshares on mainstream TV/radio show within define list of countries and defined minimum viewer audience. I will update this list with more details of the initial 'moonshots' and proposed reward structure this week. Contributions and views on this proposal are encouraged. I would like to create a Committee with buy in from all the major proxies so discussions and views on members are welcomed. My background is engineering (MEng). I have over 10 years experience and work as project lead for large multidisciplinary design teams delivering projects with construction costs typically in the region of $200M. I have delivered projects in Europe, Africa, the Middle East and China. My role typically involves managing teams across several different offices and countries. I am passionate about decentralisation and the huge potential of Bitshares. I am also a frequent user of platforms like Freelancer and really believe we can bring about a step change in BTS adoption. Go to voting --> workers --> proposed and it is there with ID 1.14.104. There's already an active worker proposal for UI development. There are several Android & iOS BTS wallets already. Palmpay covers this, unless you mean getting supported by coinpayments or similar tools? Is this not already covered by 2 worker proposals - the chinese community representative & the bitshares foundation led community representative (for EMEA). I guess if this was to provide rewards to those who develop tools for BTS without having done a worker proposal themselves that'd be pretty neat. It could be useful for there to be an innovation worker though it's a bit unclear. Hi CM-Steem, thanks for taking the time to read/reply. Are you happy with the UI? I feel like considering the length of time Bitshares has been around and the 'war chest' fund we have available we should have one of the best and most user friendly UIs on the market, instead of one that most people new to Bitshares say is hard to work with and confusing. Similarly for the exchanges - do you feel we are listed on enough exchanges? I personally think that paying out a reward of X thousand BTS for successful listing (released only following successful listing and otherwise the funds remaining in escrow for other projects or to return to the pool at the end of the worker) is a better way to use funds than paying someone regardless of whether they succeed. Note I am not against the UI work being doing or the representatives - I think we should be investing more in both, I am just highlighting that I think a rewards pool where BTS is only paid out for successfully achieving milestones would be a really great way to incentivise and reward a decentralised community. I think progress in some areas has been slow and this is my proposed solution. The mobile app and merchant payment tool are too vague and I will work over the next couple of days more clearly defining what I would consider the initial 'moon shots'. As an aside Palmpay and the stuff Kencode is doing is really great! i really doubt the bitshares stakeholders will vote for something like this. in addition to what @cm-steem mentions, the daily payment is very high and the worker is for 3 full years, no worker is done for such an amount of time. also, there is no reference on who or how the funds will be managed(should be an escrow setup with some well known community members to manage such an amount of money). no offense but you have 3 posts in the bitshares talk forum and no reputation among the community. Hi Oxarbitrage - thanks for the reply. The worker duration is maybe a little long but I was envisaging it as a project with evolving aims and dynamically responding to the targets of the community (plus it is stopped as soon as it loses delegate / voter support anyway). I do not think the fund size is particularly large if you want to target multiple 'big' targets. I am not active on Steemit and only recently started posting - I have been active in Telegram for quite a while (mainly the trading channels) so I know quite a lot of the main guys. No offence taken - I recognise the only way something like this would be voted for is if the main Delegates had representatives on the multisig wallet and have reached out to them regarding the same. I'll adjust the wording so it is clearer I do not intend to receive/hold funds and that the 'reward fund' would be in escrow until it is approved for release by the Committee (which needs to include representatives of Delegates otherwise the Worker would never get approved). I recognise the chances of it getting approved are low but I thought I would put the idea out there as I genuinely believe something of this nature is what we (the BTS community) need to see more developments in some of the key areas where progress can seem slow. Thanks for taking the time to read it and flag up the issues - your one on the length in particular is valid and potentially I would have been better making this a one year project. I know there seems to be limited enthusiasm for this from the big proxy votes but its a small amount of fee with a huge potential pay off.